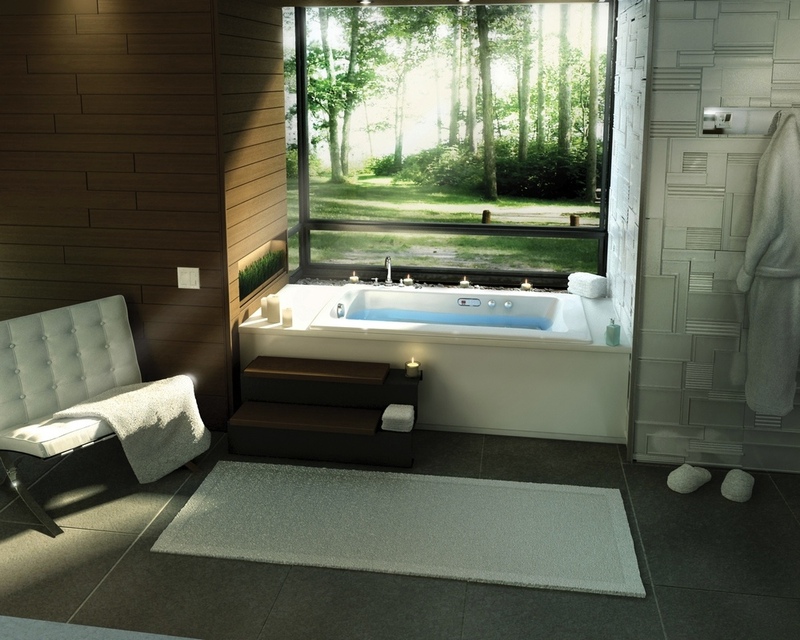 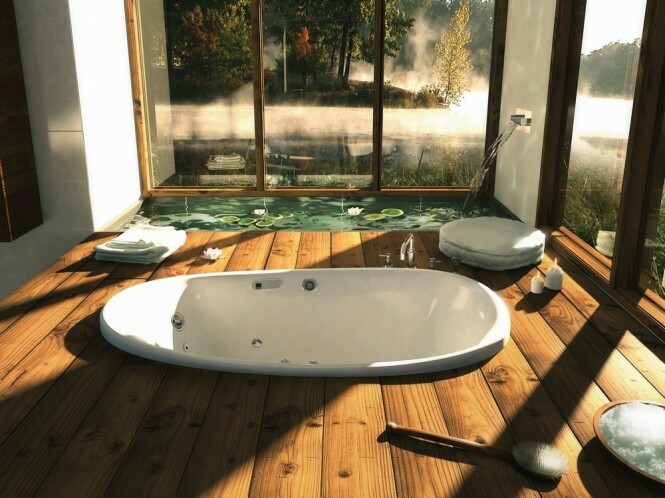 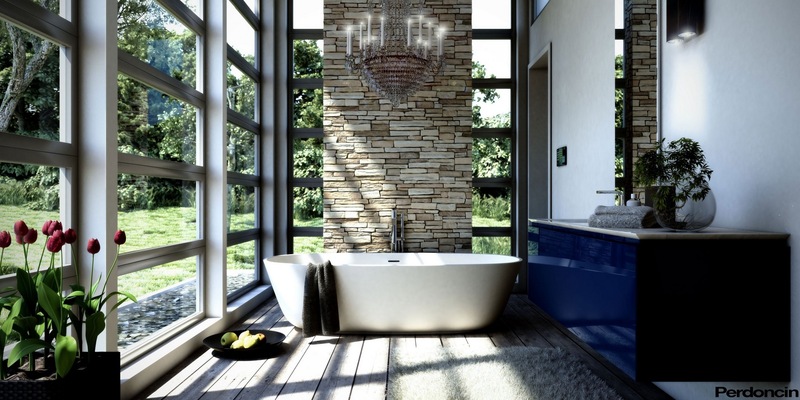 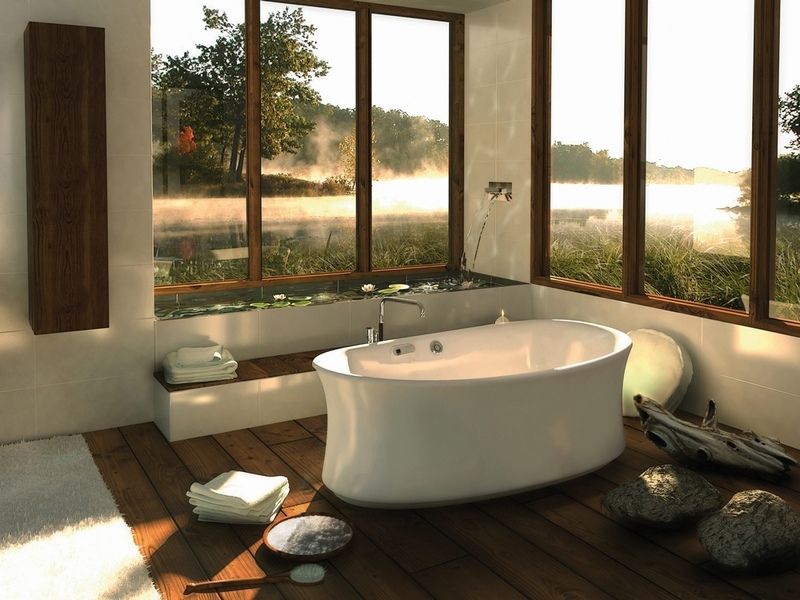 If you are lucky enough to have a garden on the other side of your bathroom wall, then why not install a run of floor to ceiling glazing to allow you to enjoy the view right from your tub? 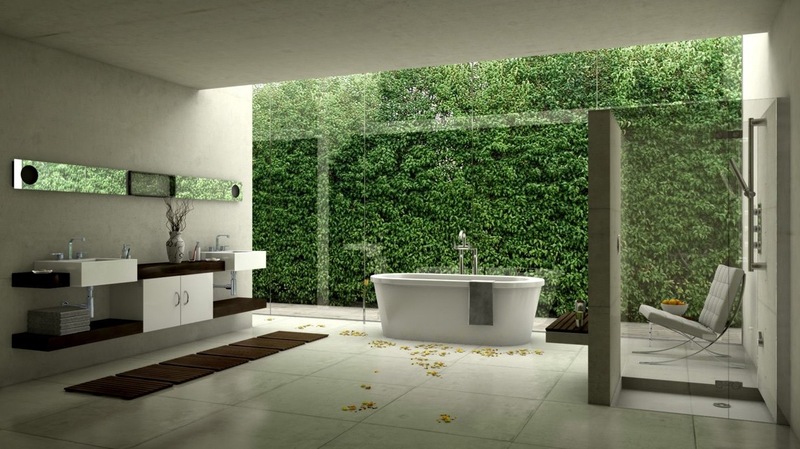 You could of course move your bathtub right out to the middle of your garden! 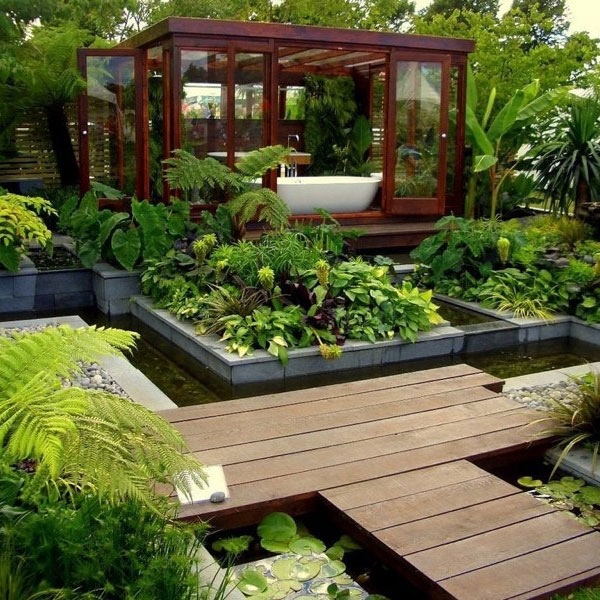 Consider an independently standing garden room if you aren’t overlooked by neighbors, or perhaps a small screened area just beyond the boundary to create a bath time veranda in the open air–though this is only recommended for those living in warmer climates! 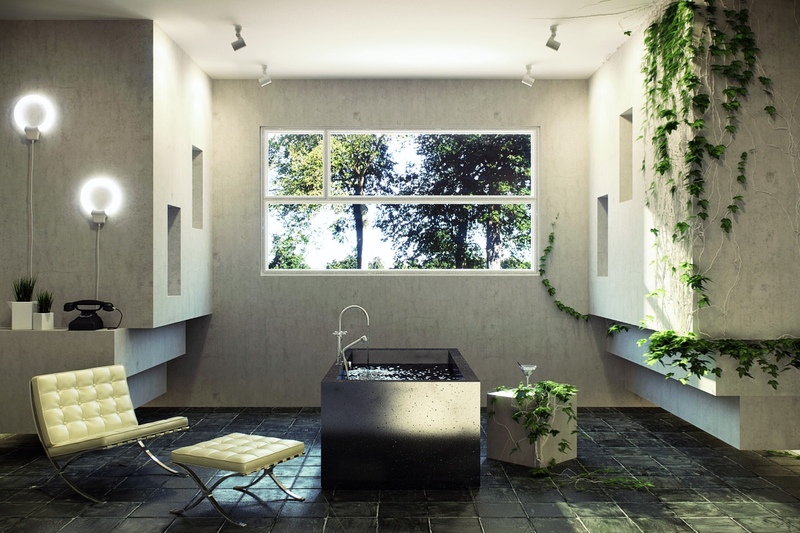 An adjoining courtyard, filled with foliage, is a great way of introducing a wall of nature to your bating space, whether it be an internal courtyard right there in your home, or exterior planting beyond a glazed wall, this approach is sure to present a zen result.